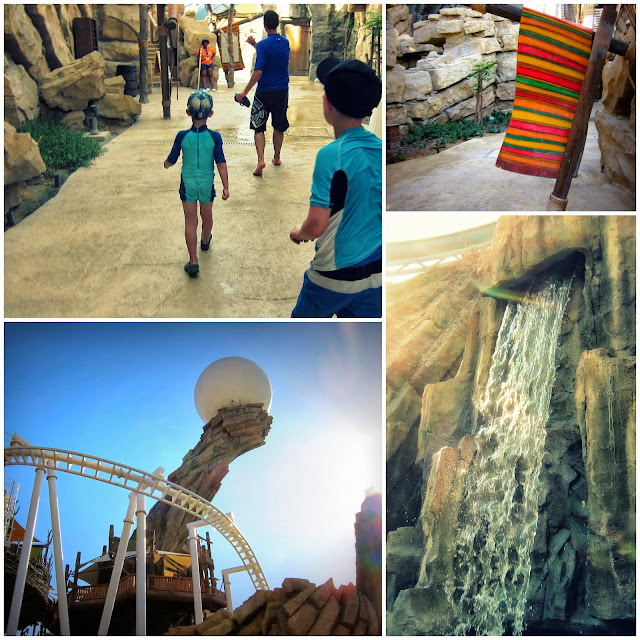 Not long after we decided to stop over in Abu Dhabi on this trip, we discovered that the world’s biggest and newest water park YasWaterworld was being built literally 10 minutes from our hotel. The park, which opened in January 2013, is designed around the story of the lost pearl, and the crown jewel of the park is the magnificent pearl itself set atop a rocky outcrop in the park while the characters in the story are intertwined throughout the rides. With over 40 water slides as well as a suspended roller coaster and a fabulous children’s play area, this park offers something for everyone. And with temperatures in the late 30’s even in the cooler season here, there’s an incredible incentive to spend the entire day in the water one way or another. With the Arabic working week scheduled Sunday to Thursday, our visit timed on a Sunday meant the park was almost empty and there were no queues which was an absolute bonus not to have to stand out in the heat with the kids waiting for the opportunity for rides. 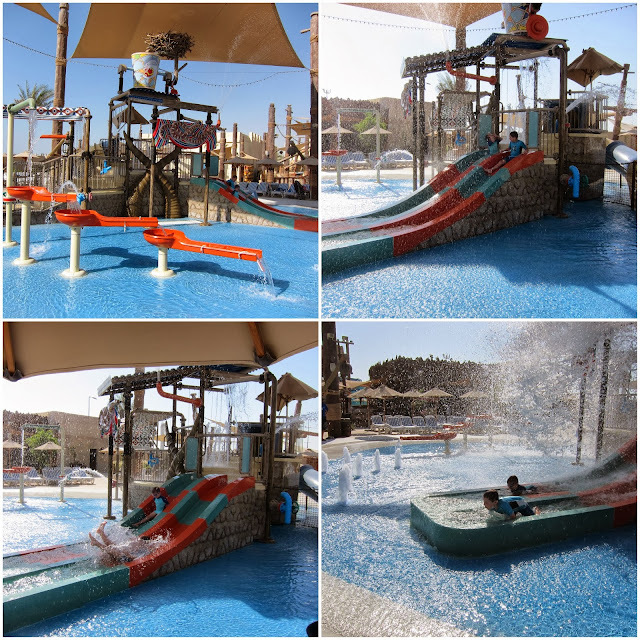 Those in charge of designing the Middle East’s premier water park really have thought of everything. At the ticket office, you are issued with a wristband to load up with money for food and drink during the day as you aren’t able to bring in your own, other than water if you have children with you. This does make for a more expensive day out than just the price of the admission tickets but as long as you go expecting this then it’s no surprise, and the food is actually surprisingly good for a theme park. There are also plenty of water stations around the park so you don’t have to pay for water each time you feel a thirst coming on throughout the day. Locker rental is also a must (the locker can also be accessed via your wristband) to store all your belongings so you can then literally wander round in your togs and jandals unencumbered by the worry of your belongings being misplaced or stolen while on a ride. We didn't even end up using a towel at all between the four of us! On our first loop of the park, we encountered a very friendly guide (Duki) who walked along with us and showed us where to find the rides we had our hearts set on trying out first which was very helpful with some of the entrances to the slides hidden away in nooks and crannies. With Mylo’s height still at just under 1.1m there were quite a few rides that he was unable to go on but he wasn’t the least concerned by this and I think he would have been a little overawed by the thought of most of them anyway. He was more than happy playing in the kids areas, and with over 3 different children's areas to choose from the choice of slides was pretty much endless for him anyway. And at each area throughout the park suitable for younger children, there were life jackets available, again proving how much thought has gone into creating a no-stress day out for parents of littlies. 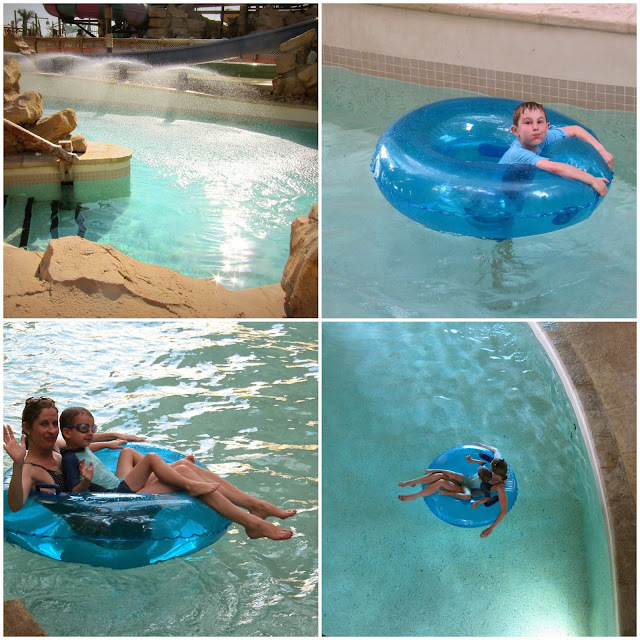 Another favourite for Mylo was the lazy river - he sat in our lap on an inner tube while we floated our way gently around, complete with the odd soaking from misty jets, waterfalls and water spouts to stop you from getting overheated on the journey. I was so, so impressed with the bravado our two boys showed in experiencing the Bandit Bomber (their first ever roller coaster ride) at the park and what an initiation – this ride was not for the faint of heart - a suspended roller coaster that tore around the park at quite a great height. 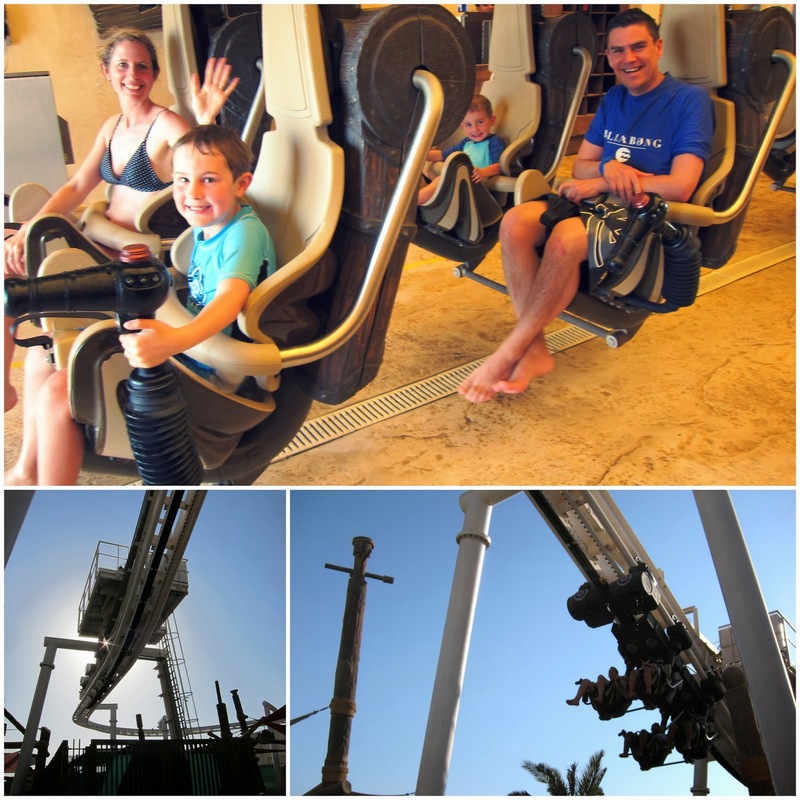 It had been a good ten years since Mark and I had been on a roller coaster and I was a little worried I may have lost my nerve but as I shrieked my way around the first ride I soon rekindled my love for adrenalin thumping action. I was so proud of my two wee boys – I’m not entirely sure you’d have seen me whooping my way around a roller coaster at age 4! While I entertained the boys at the wave pool, Mark - our resident action hero - went off to give his heart a jump start on a few of the more adventurous rides like The Liwa Loop – you start off standing in a vertical tube and the floor drops away beneath you sending you shooting down a tube at incredible speed. He also gave the Hamlool's Humps a go where you fly straight down an open slide and on the second hump you get airborne on the way down. But by far our favourite family slides of the day were the Slither Slides which we took turns riding on a double inner tube with Noah. 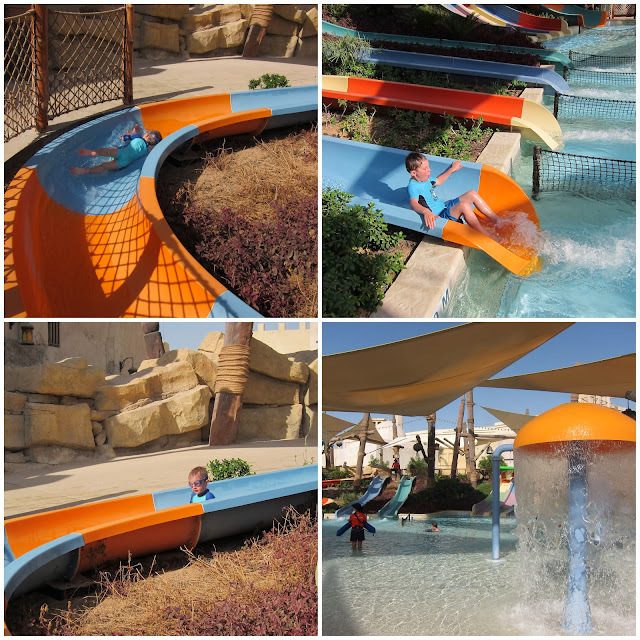 There are six slides to choose from, all with varying degrees of thrill and speed. The two slides at either end give the most thrilling experience, one ride is in the pitch black the entire way so hollering and whooping is a must, and the Serpent Spin Snake at the other end is complete with booming music and flashing lights inside the tunnel. Halfway down this slide you are shot out into a massive circular tunnel that spins you around and around in ever decreasing circles like water going down a sink until you reach the plughole and you are then spat out back down a much smaller tunnel at huge speed. You can’t actually determine which way you’ll head down the plughole and a few times we found ourselves thrust backwards down the last tunnel which only added to the thrill of the journey before being spat out at speed into the great pool at the bottom. 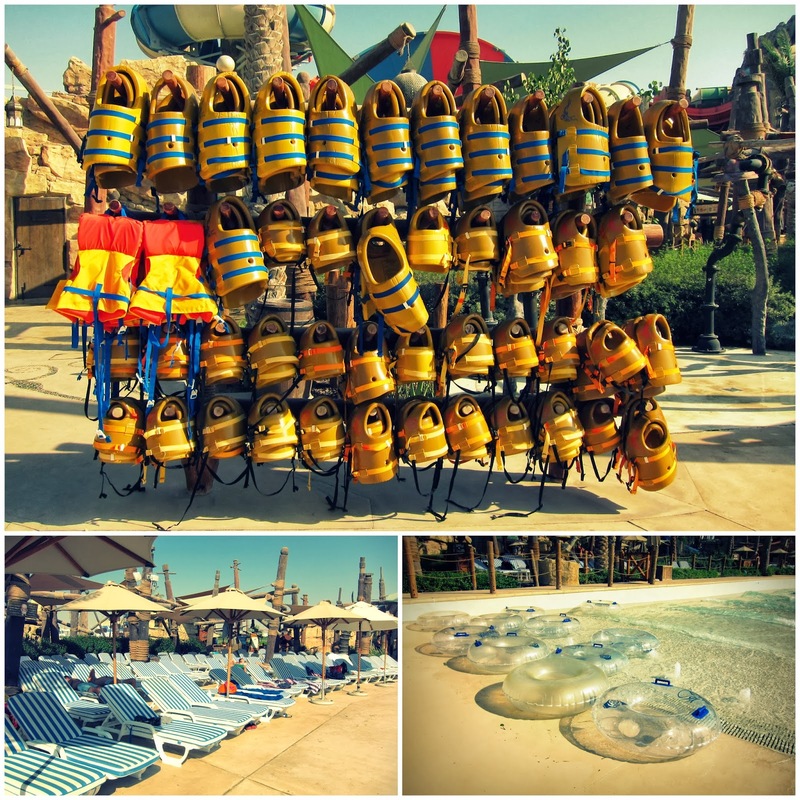 If you find yourself travelling via Abu Dhabi on Etihad Airways (or even via Dubai on Emirates which is only an hour’s journey by road) YasWaterworld is a must visit for a thrilling and fun family day out. This is a sponsored post. We received complimentary admission tickets to the park for our family in exchange for a review of our Yas Waterworld experience however the opinions and thoughts expressed are entirely our own.